Last weekend my son & I went to Mexico with 29 other people from our church. 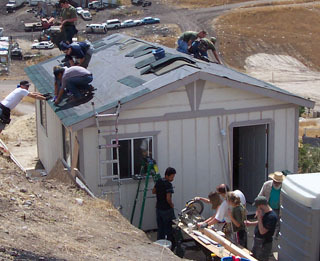 We worked for 2 days building a home for a family of 6. 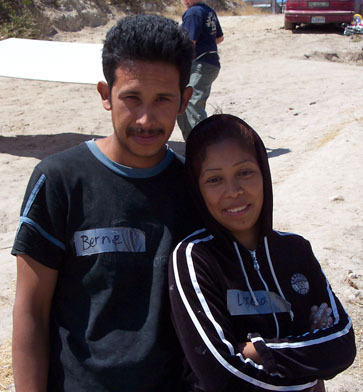 Bernie & Loreza are the couple who live in this new home. They have four beautiful kids. We had a really great time, worked very hard, and feel very blessed. The house is very simple. Only 16′ X20’…yet it means so much to the people who live in it. It’s likely the first time they’ve had a door that locks. The kids are 3 times more likely to finish school whith a safe home to live in. I’ll try my best to pontificate the experience over the next few days/weeks. What did you do last weekend to make a difference in someone elses life?